Light is shed on information or evidence. There seems to be added importance to current matters and should be followed to a worthwhile conclusion. The facts speak for themselves. Stand firm with those who agree. It’s time to wrap things up and move on to other things. Ignore those wishing to stir emotions or upset the applecart. Truth speaks to doubters. Disruptive behaviour could get physical. void accidents by paying closer attention. Take others aside to discuss the situation in private. Do what is necessary to calm things down or clear the air. Cloudy thoughts are made worse by substance abuse. Some separate or plan to relocate. ARIES: You are ready for split-second action if it should be required. Plan what or how to handle it. TAURUS: Important information will show you what steps you need to take to make further gains. GEMINI: A lot goes on behind the scenes where the deck is shuffled regarding who is in control now. CANCER: Take command over uncertainty. You need to be clear on who is with you and the rules. LEO: You shine on the job or in others’ eyes now. Use this to your advantage when asking for more. 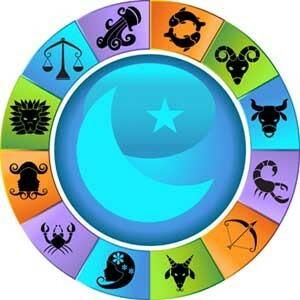 VIRGO: Double check accounts or other pertinent data to make sure it is all up to date or cleared. LIBRA: Sudden changes affect relationships so be prepared for others unexpected behaviour now. SCORPIO: You can jump from one position to another personally or with work. Follow your instincts. SAGITTARIUS: Take command over what is fluid or uncertain, especially if it affects your finances. CAPRICORN: Show your strength in charming ways to reassure others that everything will be OK.
AQUARIUS: You pull rank from behind the scenes. Snap decisions or statements get timely results. PISCES: Meet with powerful or influential individuals. Agree on changes that will be worthwhile.